Use to hold a whistle, keys, ID, and more! Lanyards are such a great investment! They can be used for so many different things. Have a large event coming up? Lanyards can hold everyones nametags. Need an ID for work everyday? Your lanyard can hold that! You can even put your keys on your personalized lanyard as well. No matter what you use it for, your lanyard will definitely make a difference in your daily life. 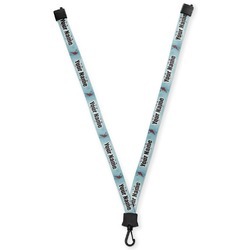 Made from a flexible polyester material, these 20" lanyards are the perfect accessory. The lanyard has two black plastic pieces that clasp together at the back. This makes it easy to take your lanyard on and off. On the opposite end of the lanyard is a plastic snap swivel hook where you can easily attach your keys, ID, or other desirable items. 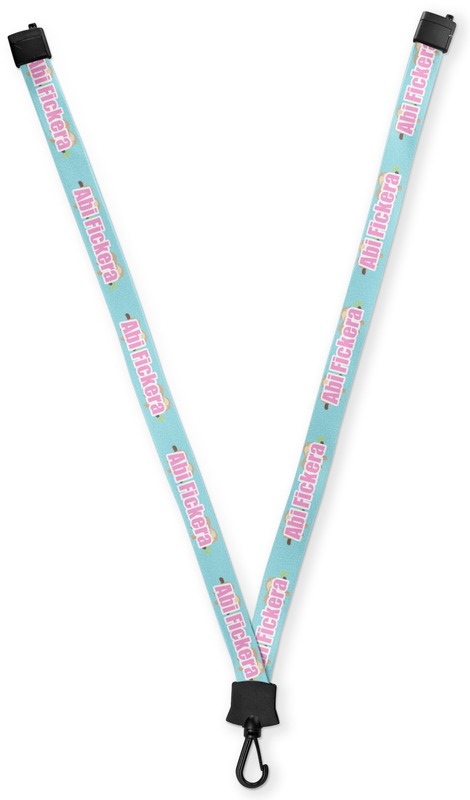 Designing your lanyard in our design center will be a blast! Look through our thousands of backgrounds to find something that will really make you stand out. Next, add your name or initials. Your design will be repeated on the front and back of your lanyard. Looking for the Sports section? Or maybe you were trying to find Accessories? Be sure to check out all the personalized items in each of these departments, including yoga mats, sleek water bottles, and super cute ladies leggings. Go ahead! Explore! We are so sorry you were not happy with the way some of your products came out. Our customer care team will be contacting you to make this right.